An iconic piece of outerwear, the Parka has been a part of men's winter wardrobes for years. We take a look at the history of the parka and how you can style it. A British style icon in its own right, the Parka has served its time as a heavy-duty, versatile piece of kit. Its long and rich heritage has carried it from a piece of military issue uniform during WWII to a mod mainstay in the '60s. Today, the parka has outlasted them all for its simple and classic style. Find out more as we run through the history of the parka and show you how you can style it. A far cry from the khaki clad mods, the earliest known variation of the parka coat dates back centuries to the Caribou Inuits who wore parka's made of seal skin to protect them from severe arctic climates when hunting and transporting their young. The long length parka with its fur lined hood and roomy proportions meant that the coat was a great insulator, with its seal skin regularly treated with fish oil to keep it water resist. Come the 1940s, fur lined khaki parkas were introduced as military issue during WWII. They could be churned out quickly, were windproof, insulated and could withstand extremely cold weather conditions. The military parka retained many of the qualities of its Inuit predecessor - minus the need to treat the outer with fish oil - and proved highly successful. The long length offered full body protection below the knee, there were many cargo pockets sewn into the inner of the coat providing plenty of room to carry ammunition, food and medical supplies, and the coat fastened shut right up to the neck with a fur lined hood to provide complete protection from the elements. 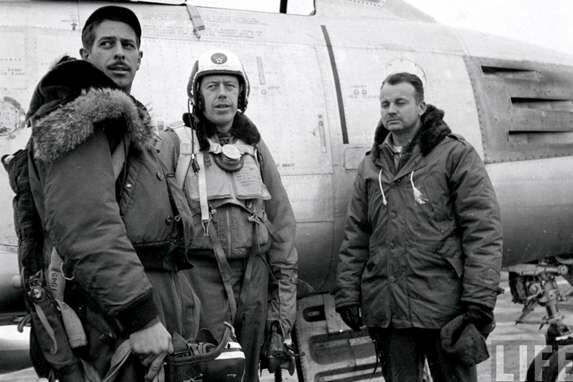 The use of the parka for military wear continued right into the late '50s and by the following decade, the mods had adopted the parka; a utilitarian coat ideal for providing ultimate protection from all the elements and perfect for safeguarding their clothes from dirtying when riding their scooters. The mods sourced their parkas from Army Surplus stores; they were cheap and accessible. Initially designed to be worn over bulky military uniforms, the parka was spacious enough to wear over a tailored suit without ruining it and its fur insulation and longer length meant that it was warm enough for brisk ride outs. Plus if your scooter broke down, the parka could be laid out on the floor and knelt on when making repairs. During the '60s, Mods often customized their parkas with patches of their favourite bands, scootering memorabilia and of course the iconic mod target. The mods found an innovative way of taking an easily accessible, mass produced garment and making it individual and iconic to their culture. Quadrophenia gave the mods a place on the big screen and cemented their affinity for the parka. The parka made a revival in the '90s with Britpop and looked to the likes of the Gallagher's to reinstate the symbol of rebellious youth counterculture once more. Today the parka is still championed for its versatility and robustness. With its simple design and clever engineering, the coat has stood the test of time and gone down in history as a true British style icon. Probably the main reason for the parkas longevity is its simple design that has remained pretty much unchanged. Practical and functional, its features rarely differ and always perform cementing the coat as the utilitarian go-to it has come to stand for. The hood is fur lined to protect the face and keep the wearer warm. The parka fastens all the way up to the top and secures around the neck to protect from the cold. The full zipper is hidden with a flap of material to minimize exposed openings. 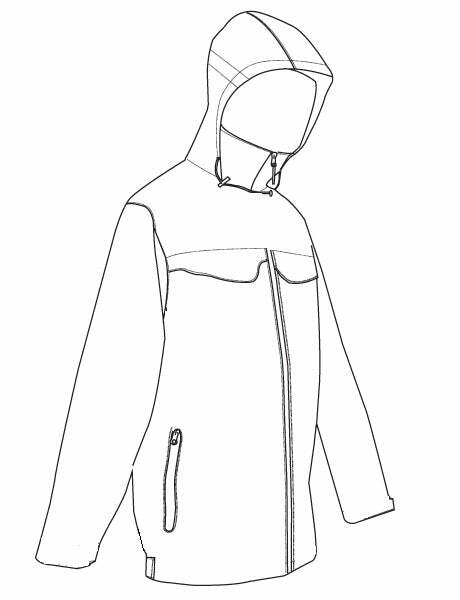 The proportions of the coat are over-sized to allow for layering underneath and to trap heat for insulation. The drawstring at the back can be used to tie the longer length excess material around the legs to preserve heat. A great all rounder, the parka is a British style staple because it looks great and is so easy to wear. If you're thinking about picking one up, it's one of the easiest coats to work into your collection. Try a pair of skinny black jeans and some black Vans. Throwing on a Parka is simple and perfect all through the winter. Getting hold of a waterproof coat is almost essential during the wet winter months. They were originally worn by Inuits and made them of Seal skin to protect them from the freezing cold conditions centuries ago. The Parka has a military history. Fur lined parkas were issued to troops during World War 2. Mods found Parkas in Army surplus stores for discount prices and began to customise them for their own unique style in the 50s & 60s. They're a classic coat that's been a part of men's fashion for decades. From its origins with Inuits, army use in World War 2, to their popularity today it doesn't look like the Parka is going anywhere. If you thinking of picking up a coat you can get hold of a few different designs in The Idle Man store right now. Check them out and get ready for the winter weather.